WALLA WALLA, Washington – At one time, Perry and Darlene Dozier pursued starting a water bottling business on a piece of their agricultural land located within Walla Walla County near Waitsburg. 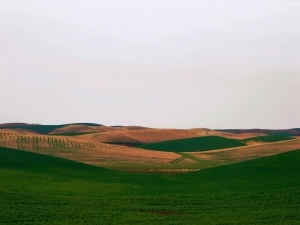 However, because of changes in how they’ve decided to use their land, earlier this month the Doziers withdrew their proposal that was presented to the Walla Walla County Development Department. The amendment request was on the county’s 2018 Annual Docket of Comprehensive Plan and Development Regulations. While the county said there would be no further review of the Doziers’ application, Walla Walla County Board of Commissioners Chairman Todd Kimball doesn’t want to see the discussion about water and land rights go away. Kimball, who is a farmer himself, said he understands water rights and land-use rights and what can and cannot be done as they stand at present. Kimball declined to go into further detail about how to accomplish that, but said he spoke to the county’s planning department this week. He explained to the department that there are some issues that need to be fixed to offset possible problems in the future. Kimball said the Doziers’ proposal was to bottle water on a site which is not an allowed use in the county zoning code. Kimball clarified the county’s issue with the Doziers’ proposal wasn’t the issue of water rights, but how the Doziers were going to use their land for the proposed water bottling business.